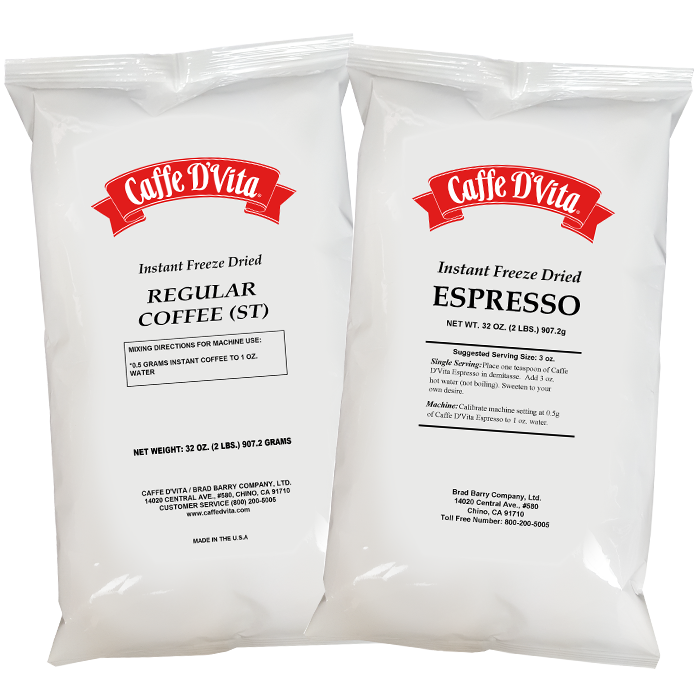 Our premium Espresso powder is perfect for beverage machines, hand mixing, specialty drinks and our favorite, baking! Our freeze-dried coffee has the same great taste as regular coffee grounds, but will save you time and money. Easy to use, just add hot water and go! Another added benefit for your business is the hassle-free no waste cleanup after preparing a cup of our coffee. From the people you trust for all your quality beverage mixes!